Protect, store and transport your brush collection. 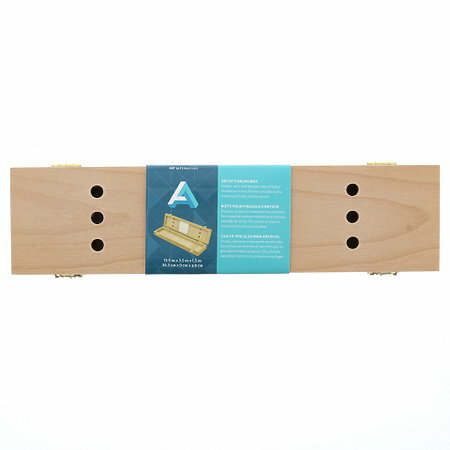 These boxes are constructed of hardwood with veneer, and feature durable finger-joint construction. They are hand-sanded and finished with sturdy brass hinges and latches. Ventilation holes allow brushes to dry. Brushes stay secure and protected with a foam padding insert.